Fr. 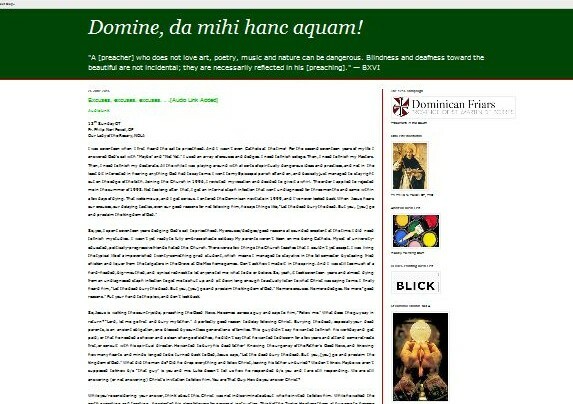 Philip Neri Powell, a seminary professor, formation advisor and parish priest, has preached and commented about Christ, the Church, popular culture and events of consequence on his popular blog, Domine mihi hanc aquam! Featured are thought provoking homilies through which readers know and love the mind of Christ. I interviewed Fr. Powell about his blog, his call to the priesthood, the future of the Church, and his advice for those considering a Dominican vocation.